I visited the Grand Canyon last month for the first time and fell in love with the place. I could paint there for a hundred years and still not run out of subject matter. What I loved most…and which was most challenging to me as a painter…is how the view changes constantly, depending upon the time of day and weather. 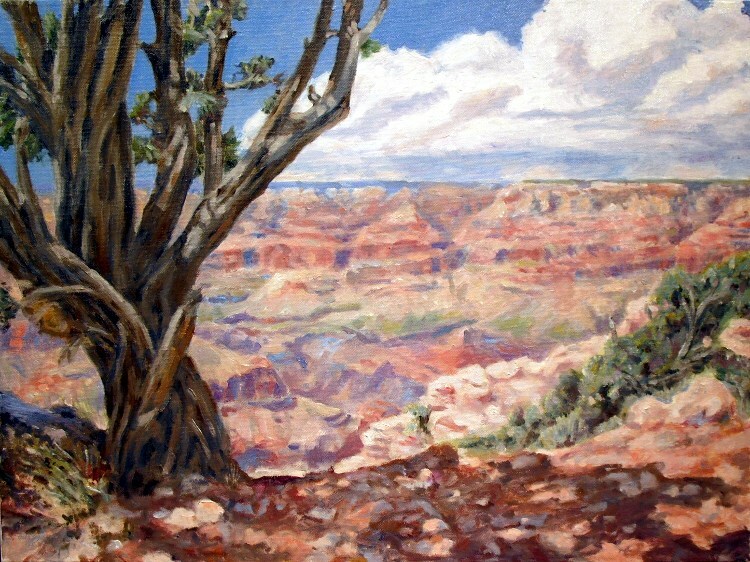 This entry was posted in oil painting, painting instruction and tagged grand canyon, kit miracle, moran point, oil painting, painting instruction, southwest. Bookmark the permalink.